Well from the safety point of view Secure visibility at TRIAL, mouth - I wonder if it becomes this form when considering the chin part protection. The Ventilation on the back side is that ordinary HYPERT became ICDuct though it is Bent Slit ×. When considering it for basic TRIAL, there is no running wind etc. etc. Heat from my head is coming down. Moreover, it was damaged with a little thing. When purchasing, it is necessary to exchange to Bent Slit first, and the remaining two places are additionally Bent Slit addition. 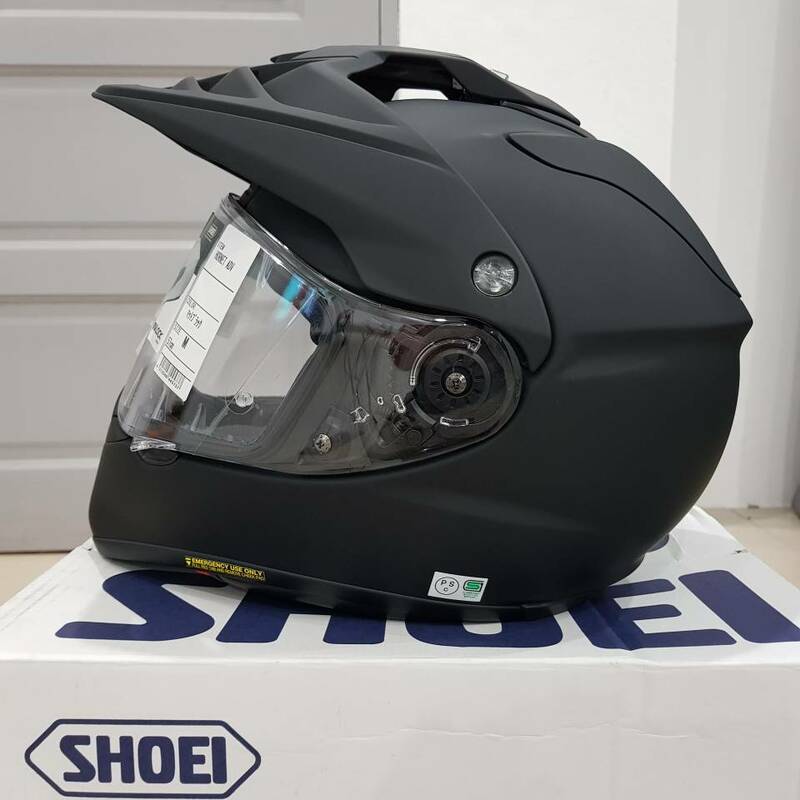 SEROW Buy in order to boost your feelings in deciding to purchase When wondering whether to buy SEROW or not to buy Motorcycle I watch this Helmet at first sight at a store for supplies. I bought it before the SEROW purchase contract. For details please see the diary. Can I Recommendation to a Friend? Because I do not want many people having the same thing. Beautiful First transaction in webike. I am very successful on this buying, The Helmet is very beautiful. Since it is related to safty, I dont have enough brave to but the cheaper one. So I choose the japan famous brand SHOEI. I tried the size in other place and bought it here. 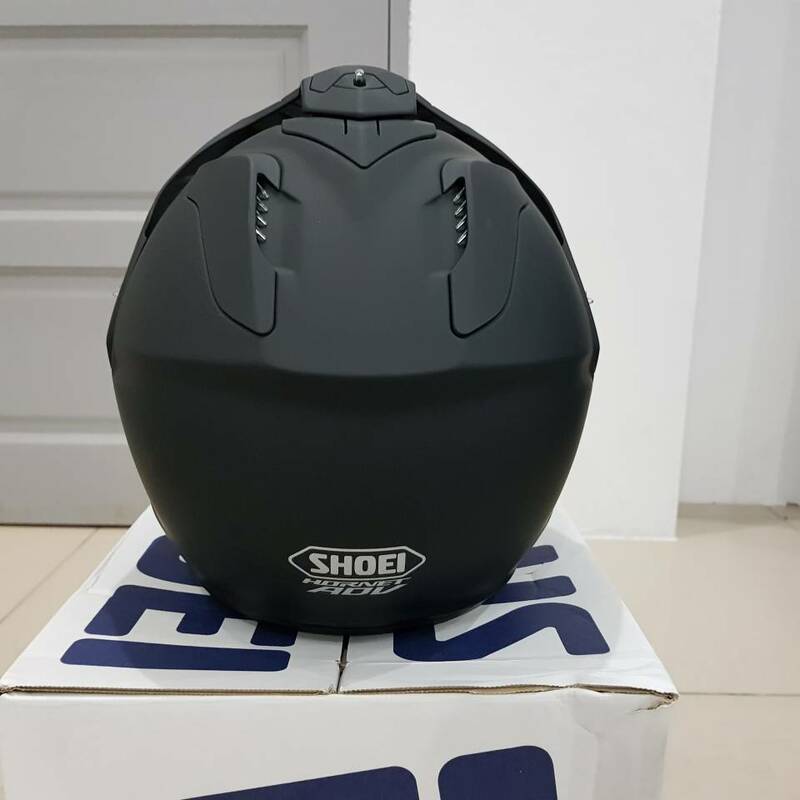 Other model of shoei helmet in small size is fit for me, but maybe this is two way use helmet so I know the smallest size is still loose for me. So I but the smaller insider also. This is good and beautiful helmet, I use it everyday now. High Quality Shoei I just got this helmet over a few weeks. For me, this is very high quality Japan made helmet. The airflow is good. Very quiet. A bit heavy for me. I'm happy with this premium helmet. Shoei Hornet ADV Shipped out from Japan was fast and clear. The product very high quality. No need tool to change the visor. The helmet a bit heavy for me. Sight of upper eyes is good! As expected Exclusive Design !! Good! From acquaintance, after a long absence to go out to Enduro?. It may be used even on a ride on a holiday OffTwo. Is not HJC well known in Japan? I'm also known as enduroGP and Queen Dakar Laia Sanz (Using pattern X-lite from Dakar in 2018)... orz) I decided to MFJ official CS-MX 2 at affordable price. First of all, there is no problem with the product itself. Now I do not feel any particular discomfort. Although it is an inexpensive MODEL, Visor and Screw are out as Repair Parts and Inner Pad is sold separately and it is also possible to make it Fit by changing thickness. The Ventilation function is also cold in the current season, especially the Ventilation of the head is currently overwhelmingly filling ear plugs. 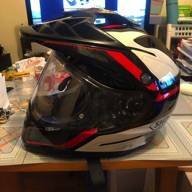 As a general comment, there are also preferences and Korea Manufacturer I think that some people are said to be said, but Helmet is a consumable item. Well it will cost me awfully ~ Even if I cleared the harsh standards I dropped it, even if it fell lightly and fell down and hit Helmet, the appearance got scratched ~ Even people who keep on using feeling Are you there? Is it saying Clear that such a strict standard, Helmet is robust But can the head of contents endure? Then HJC Edge, Graph de, DAKOTA (Unpublished in Japan as of December 2017) I want to use it properly according to my mood ~, it is feeling.